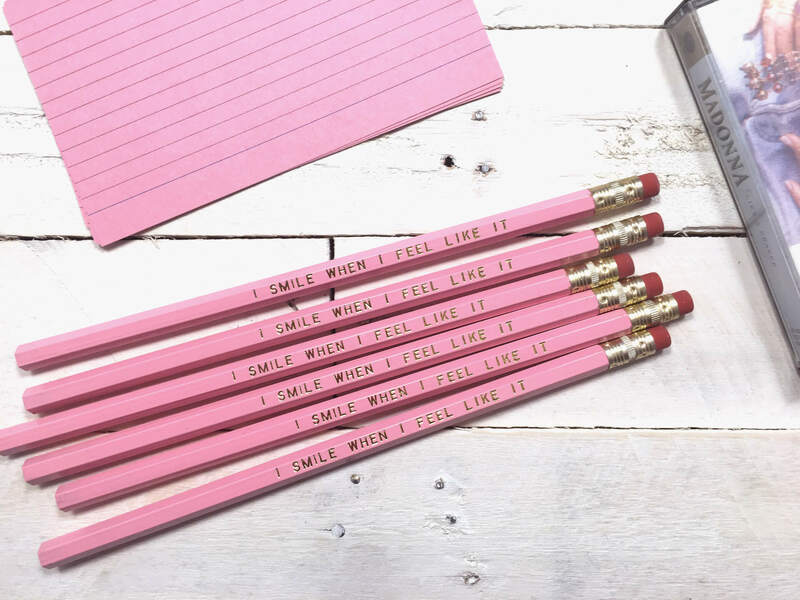 A pink pack of pencils picked just for you! 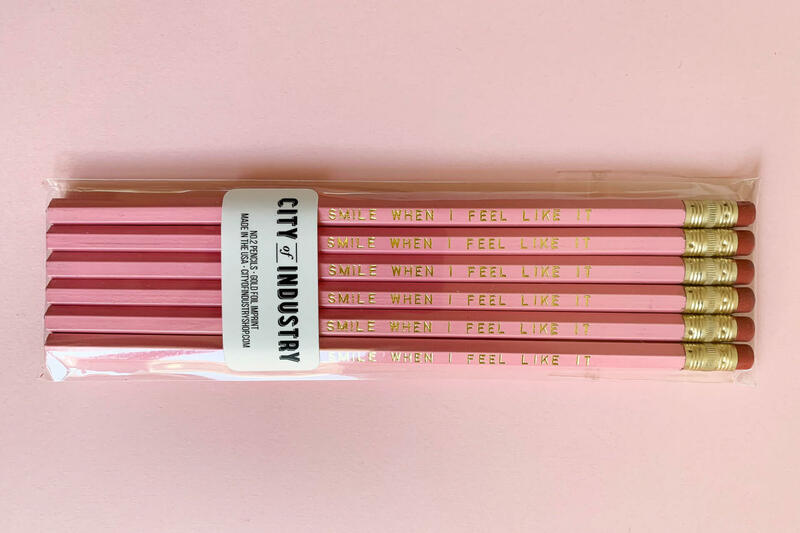 Six pink pencils with gold foil ‘I smile when I feel like it’ inscriptions, made by City of Industry in Utah, USA. 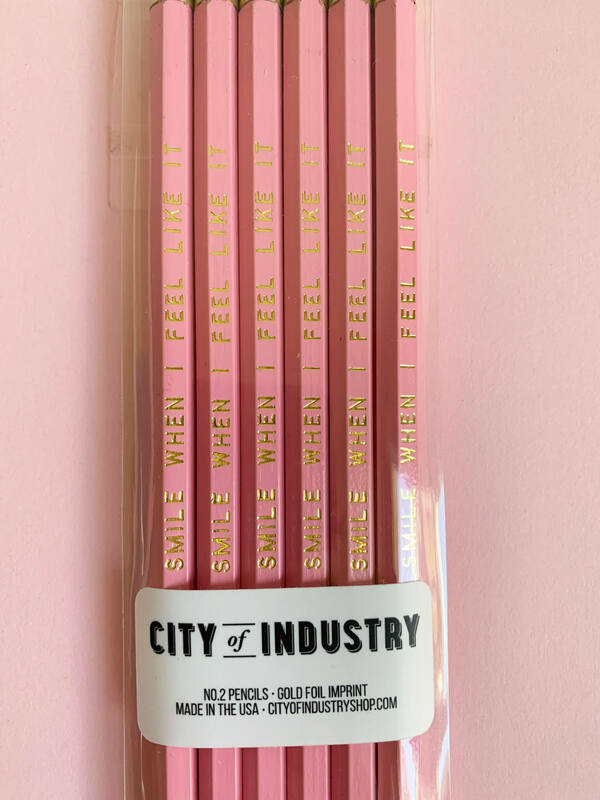 The Smile pencil set was designed by Sarah Anderson for her brand City of Industry in Salt Lake City, Utah. 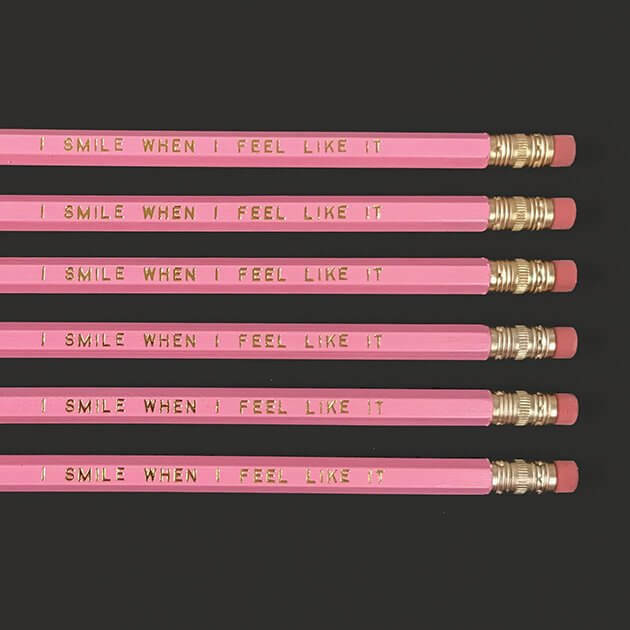 The 6 pencils are all inscribed with a badass gold foil ‘I smile when I feel like it’ message. 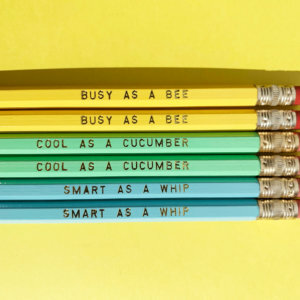 Now you can FINALLY have feisty pencils. 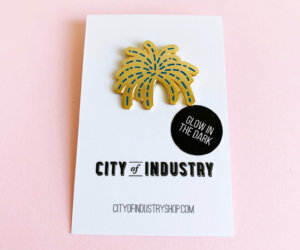 Posted in a protective cellophane wrapper.